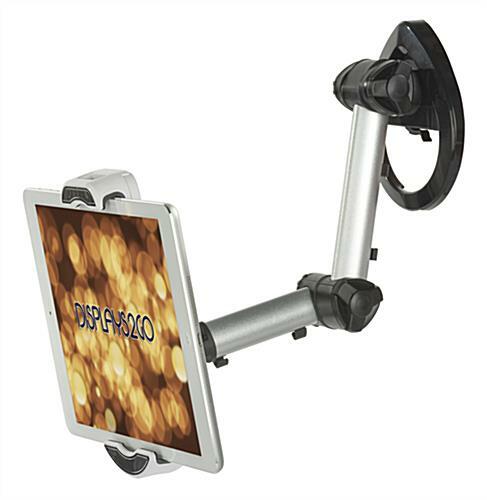 These tablet arm holders feature a neutral silver, white and black finish that will go great on any countertop or wall. 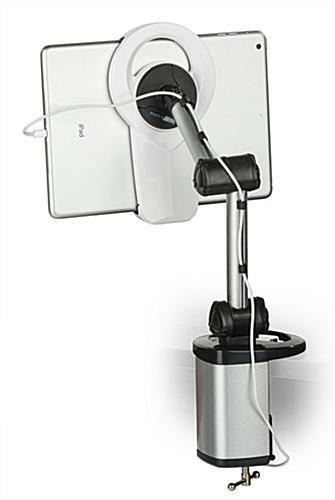 Each of the stands features an open design that allows the camera to be used for scanning. 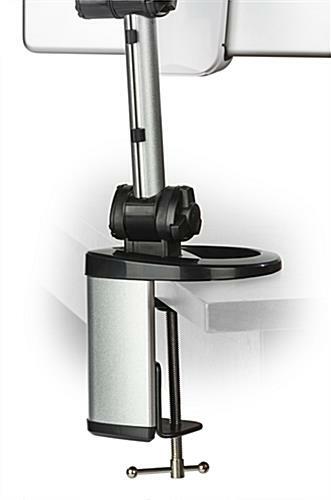 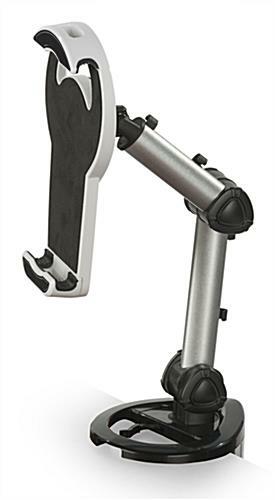 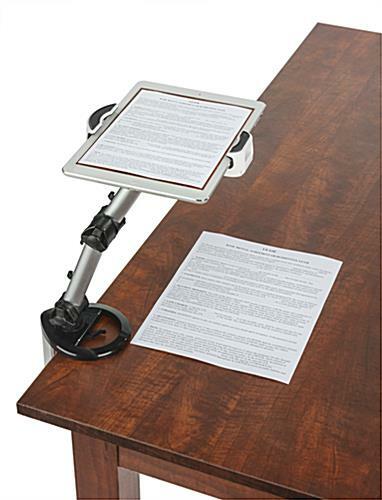 In addition, the arm holders can rotate, tilt and swivel, giving them adjustable height. 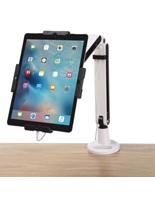 The black mounts with an exposed camera hole can fit touchscreens that measure between 7" and 10.4". 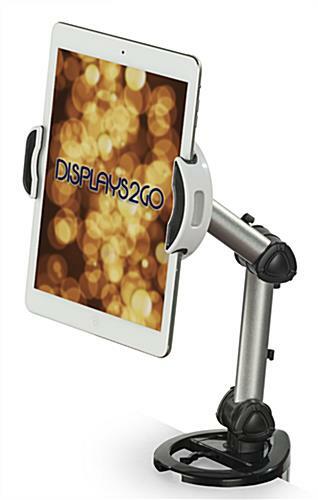 The adjustable height holders can display devices in either a portrait or landscape orientation. 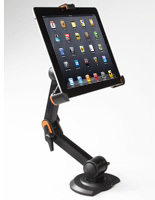 The mounts for scanning have an open design that exposes the home button on iPads.